Our full range of over 100 herbs is available in all Bunnings stores and leading garden centres throughout Western Australia. Proudly owned and grown right here in West Australia. We’ve even made sure that our labels are written to suit our unique WA conditions! When to plant Herbaceous Herbs? Lots of herbs can be grown all year round such as rosemary and thyme but there are a few which just won’t survive if they are planted at the wrong time of the year. Download our handy chart and keep it inside your pantry cupboard so that you can be harvesting and cooking herbs when they are in peak season. Feel like a green thumb! Herbaceous Herbs are grown in WA and are labelled with information especially to suit the West Australian conditions. Herbs are probably the easiest and most useful plants to grow and can fit in to even the smallest section of the garden or patio. Add some home grown love to your daily cooking and start growing herbaceous herbs today. Within the Herbaceous range are the favourite culinary herbs such as parsley, basil and coriander as well as some more unusual plants such as apple mint, pineapple sage and par-cel. There are also medicinal herbs like gota kola and feverfew as well as the very beautiful lawn chamomile and carpeting thymes. And of course, the ever-popular herbs for pets that include cat grass, catmint and catnip. Herbaceous herbs provides you with useful ways of using the herbs you grow. 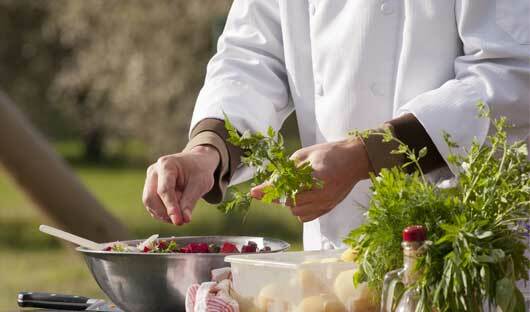 There’s nothing more beautiful than the fragrance of fresh herbs to brighten your day. 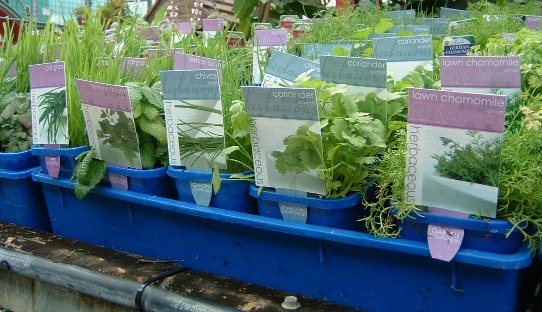 Herbaceous have put together a premier range of herbs perfect for window sill pots and home gardens. To help with the growing process we’ve put together some helpful fact sheets. View StockistsHerbaceous Herbs can be found in quality nurseries and garden stores. Find a stockist and start growing awesome herbs today. Herbaceous is Western Australia’s premium range of herbs for cooks and gardeners, supplying a huge selection that are easily grown in the home garden for their fragrant beauty, healing abilities and for creating wonderful gastronomic delights. Herbaceous Herbs are grown here in Western Australia and chosen to suit our unique conditions. Herbs are probably the easiest and most useful plants to grow and can fit in to even the smallest section of the garden or patio. You will be able to grow herbs successfully when following our expert fact sheets written specifically for WA conditions but if you need more advice about herbs in your own garden, send a question to our herb expert. 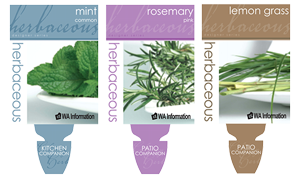 Herbaceous Herbs is the only herb range available in Western Australia that contains growing information on the labels written by our own herb expert specifically for WA conditions. We know that the west coast has very different soil and climate conditions to the east so we believe that it’s our responsibility to give gardeners the best information that we can to get the most success out of our plants. Look for the ‘WA Information’ logo on our labels. Herbaceous Herbs is a range of over 100 plants that, throughout the year, include those that repel insects, soothe a sore throat, add perfume to the home or are just loved by pets such as catnip and catgrass. Our fact sheets and labels offer suggestions for harvesting the herbs for cooking and getting the best flavours from them and give very practical but easy companion planting techniques to improve the growth of other plants in the garden. 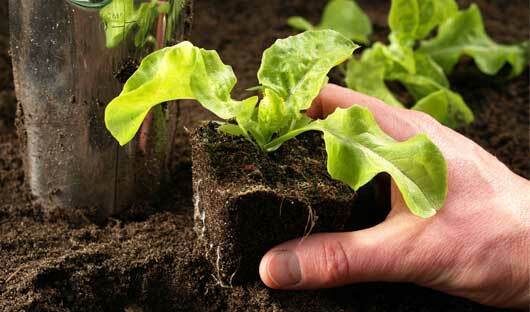 Learn to grow beautiful Asian vegetables in your garden. 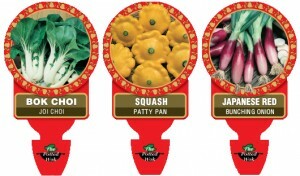 Asian vegetables are fast and easy to grow. They are perfect for planting into pots or garden beds and the avid gardener and cook will love having a greater variety to choose from. Visit our other website, The Potted Wok, and view our informative fact sheets, gardening ideas and recipes.